Arizona is more than just the sweeping Grand Canyon or a vast arid desert; it also offers an array of exciting cuisine, diverse topography, and an interesting job scene. 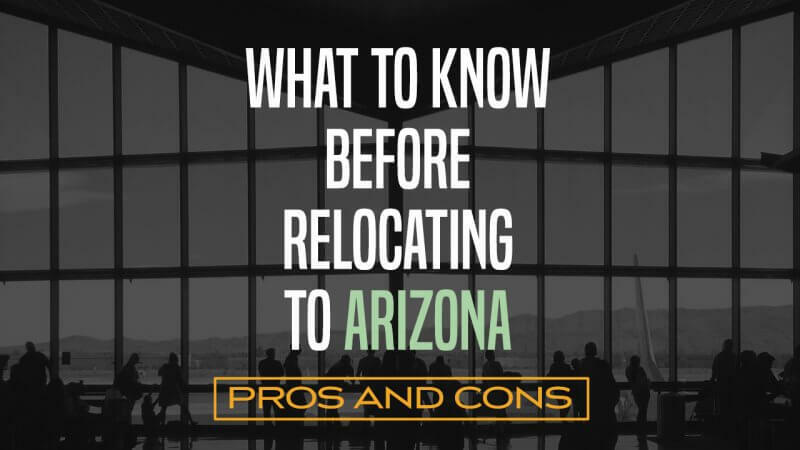 Whether you’re a snowbird looking to make Arizona your permanent residence or a college student sick of the Northwestern rain, there are some pros and cons you’ll want to be aware of when moving to Phoenix. Besides the Grand Canyon, Arizona has a lot to offer when it comes to scenic attractions. 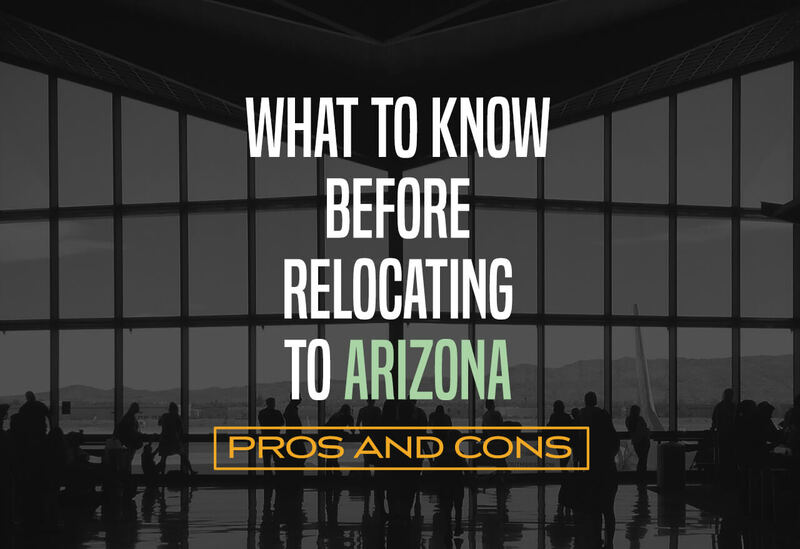 The Chiricahua Mountains with their impressive rock sculptures, the huge, otherworldly meteor crater near Winslow, the stunning and historic Canyon de Chelly, and the Cathedral Rocks located in Sedona, Arizona are just a few of the one-of-a-kind places that are a short drive from Phoenix. If you can’t stand the northwestern or New York days of seemingly endless gray, snow, snow, snow, and more snow, then Arizona might be for you. Winter temperatures generally hit a high of about 70 F during the winter and seldom drop below 30 F in most areas. Unlike the more tropical states like Florida or the Carolinas, the heat in Arizona is very dry, making it an ideal choice for those with mold allergies. If you do miss the cold, you can always escape to the state’s two ski areas – Arizona Snowbowl outside of Flagstaff and the Sunrise Ski Resort near Lakeside-Pinetop. Need somewhere warm but put off by the shocking cost of living in California? Arizona might be just the place for you. With the average studio apartment going for around $700 per month ($300 cheaper than the national average) and overall lower real estate prices, Arizona is a more affordable option for warm-weather lovers. Big cities like Phoenix and Mesa are naturally still more expensive than smaller areas, so keep that in mind when home hunting. If you love cheese, Arizona will not disappoint. From the famous Sonoran hot dogs to classy margaritas and sizzling chimichangas, the culinary scene will not disappoint even the pickiest palate. Unlike some cities (i.e. Portland, Boston, or San Francisco), most metro areas in Arizona aren’t walkable and most places don’t have a reputation for stellar public transportation. That means you’ll likely need to bring a car. No state is perfect, including Arizona. The pleasant winter temperatures are following by a scorching hot spring and summer, with temperatures easily spiking into the 90’s in March and April. The monsoon season, usually starting in June or July and lasting till September, gives only a little relief from the summer heat. While crime in most states is on the decline, Arizona still ranks as the 10th most violent state in which to live. This stunning southwestern state makes an ideal home for over 7 million residents. If you plan to join that number, then give Cheap Movers Phoenix a call. We help you find local and long distance movers for less!